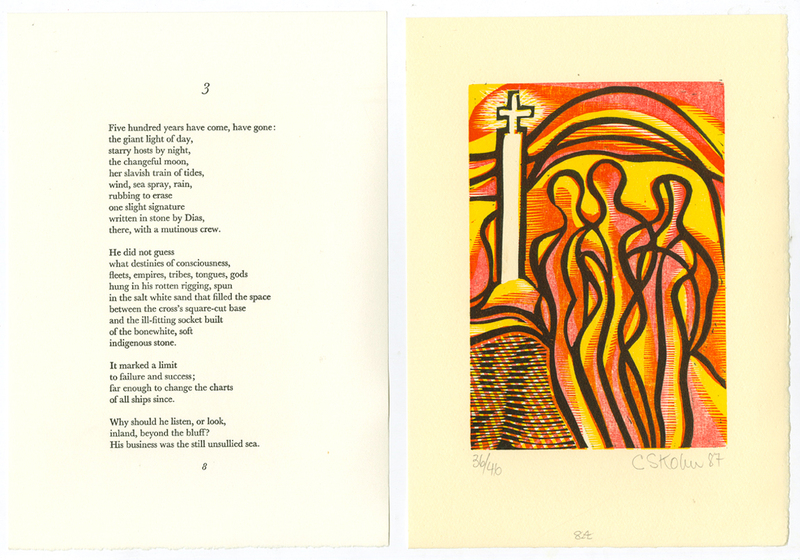 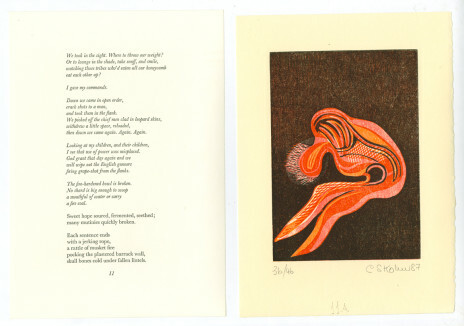 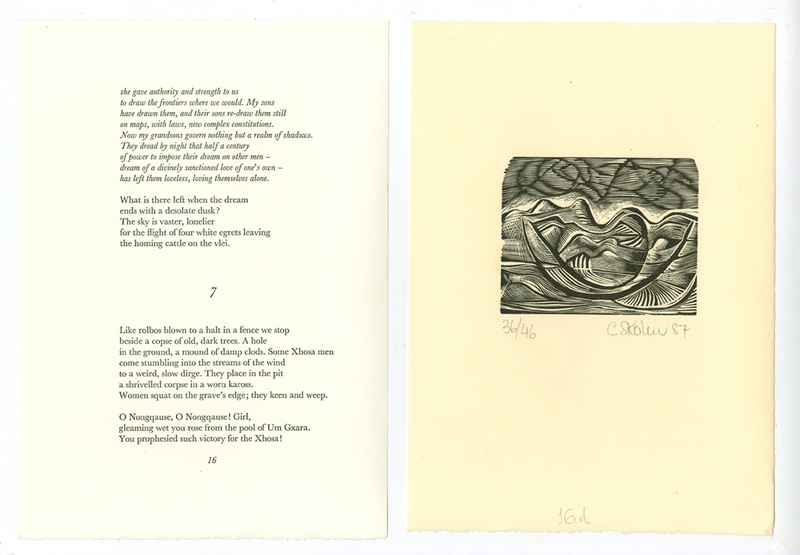 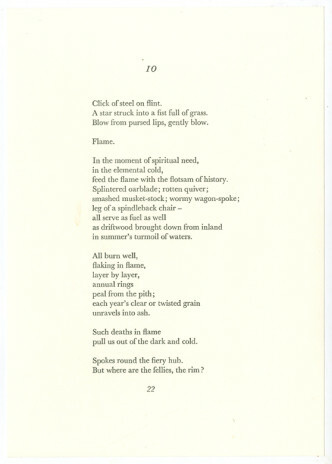 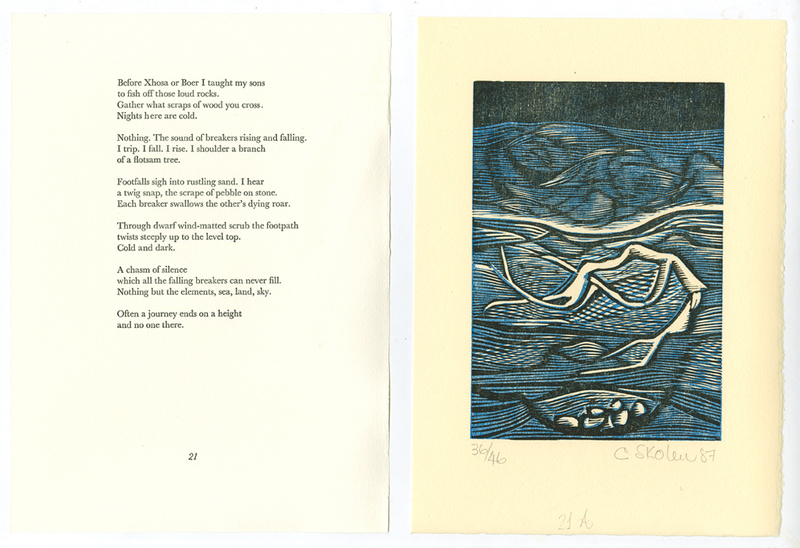 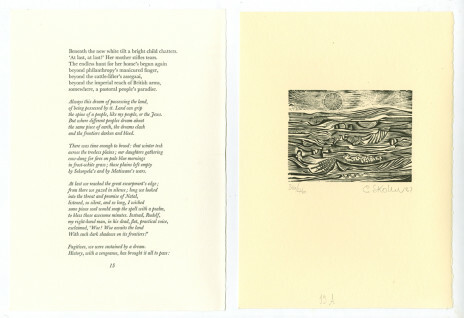 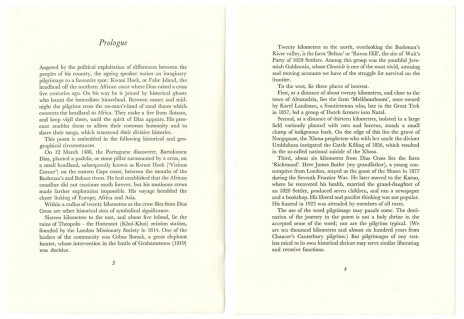 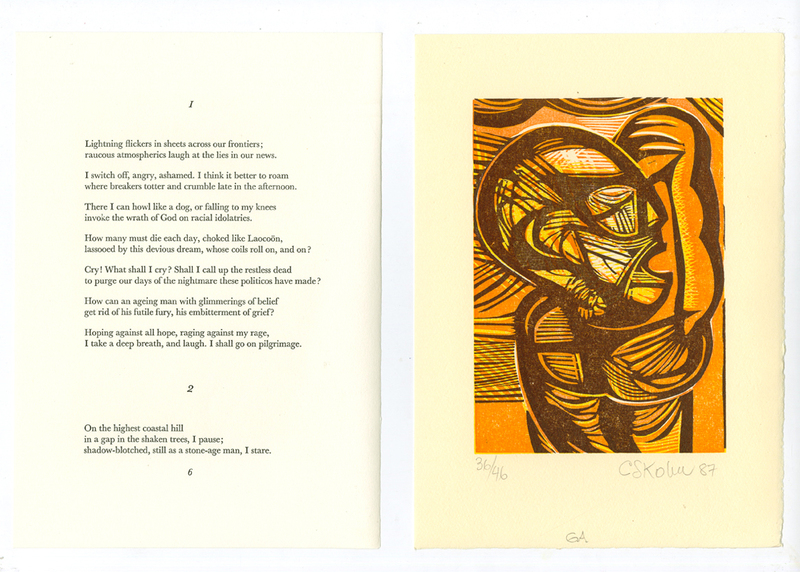 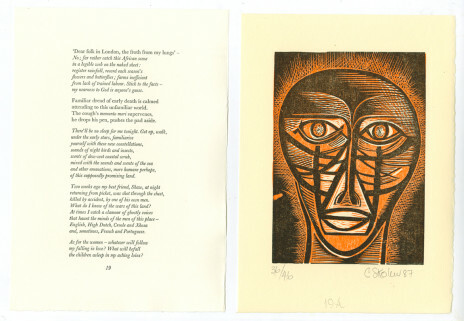 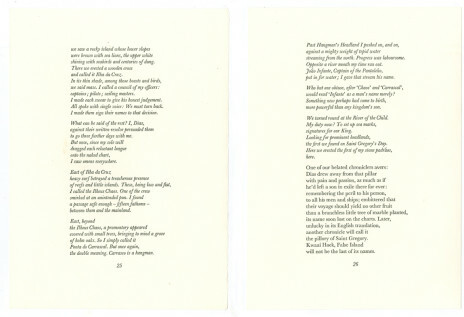 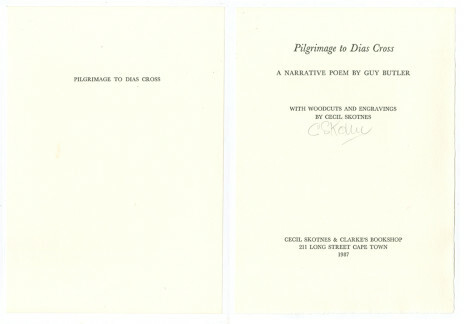 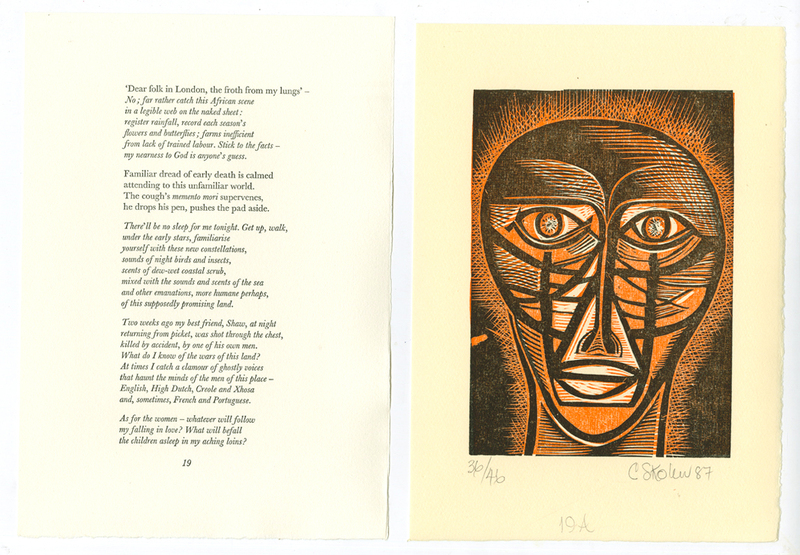 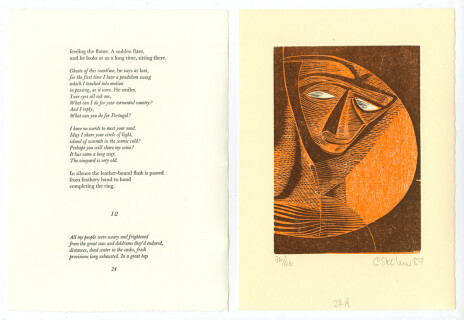 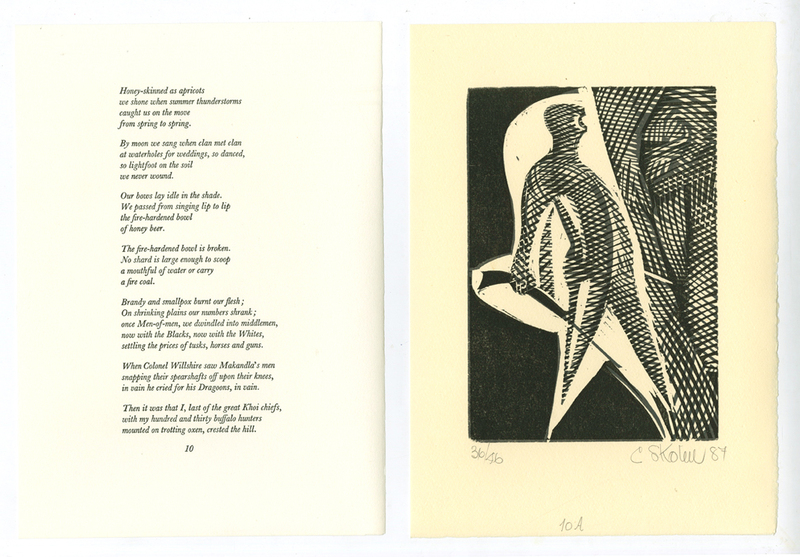 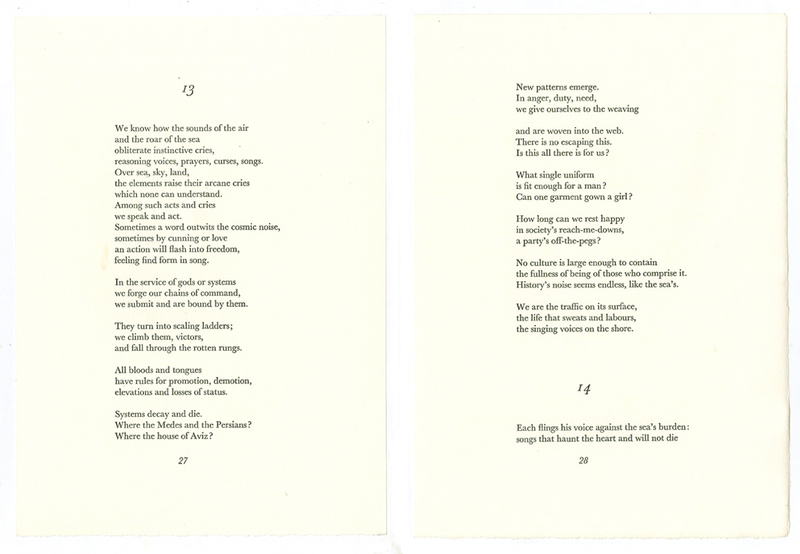 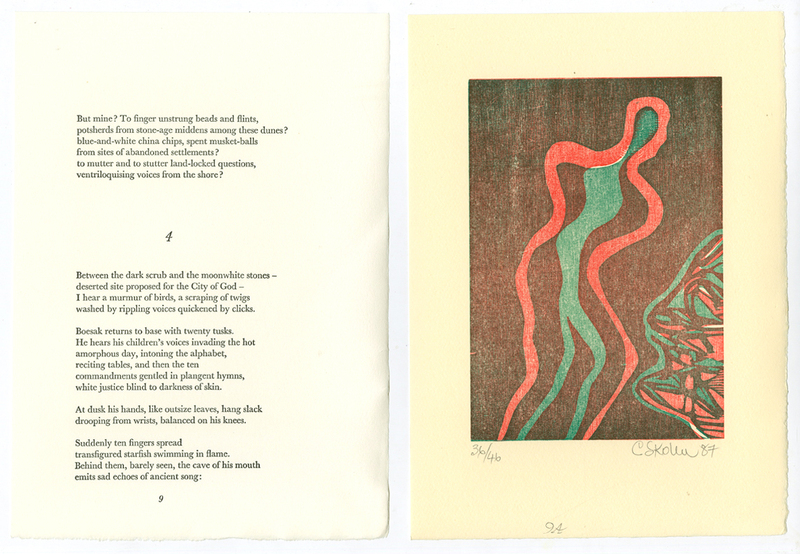 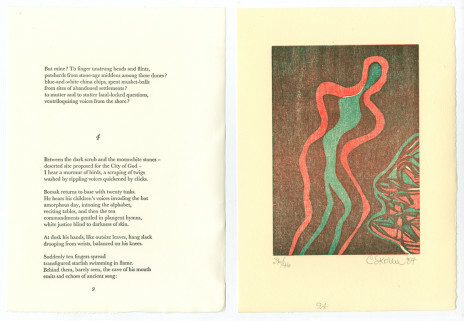 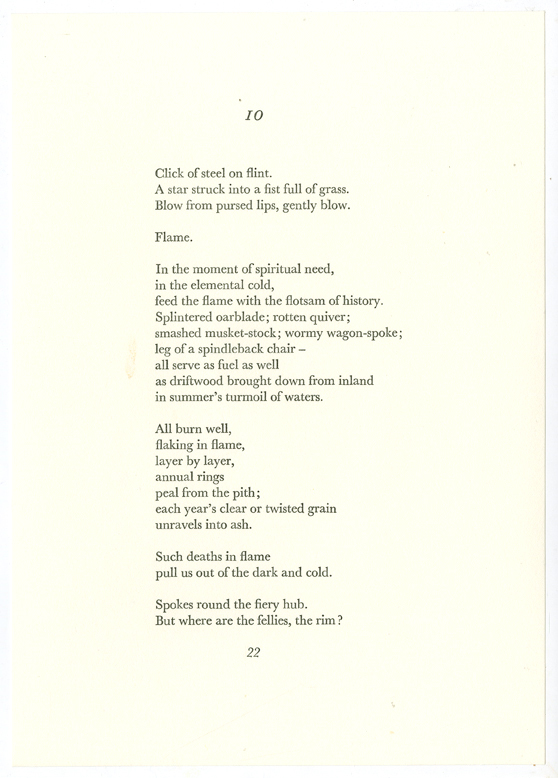 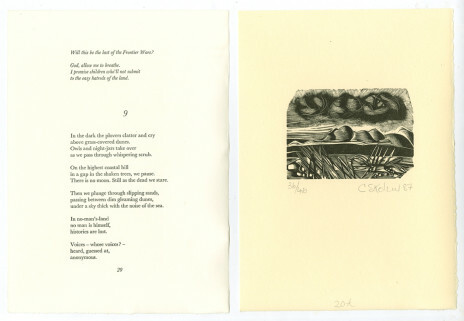 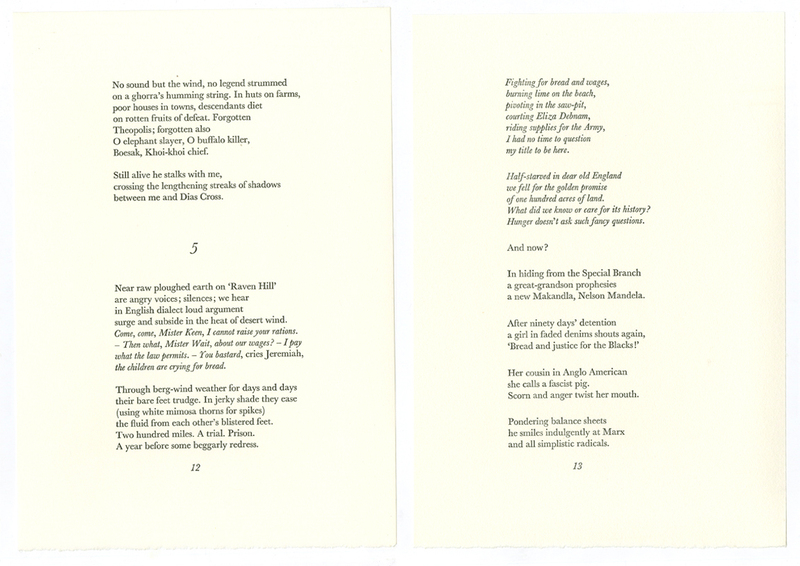 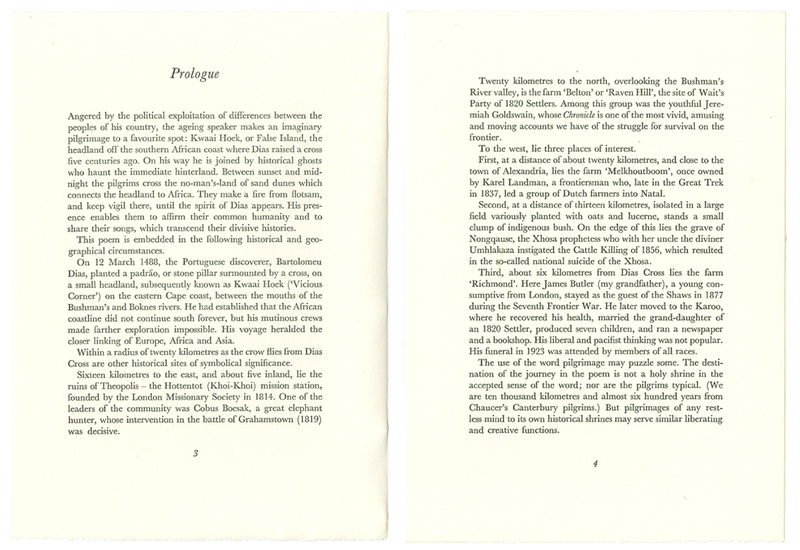 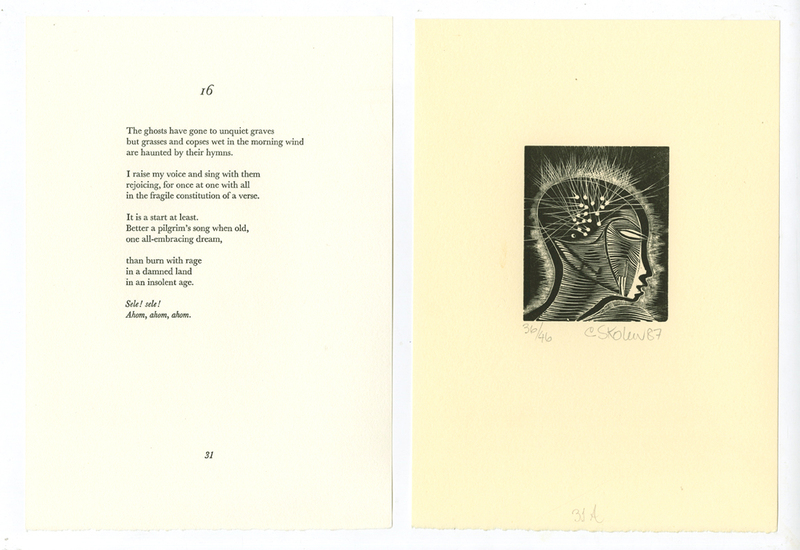 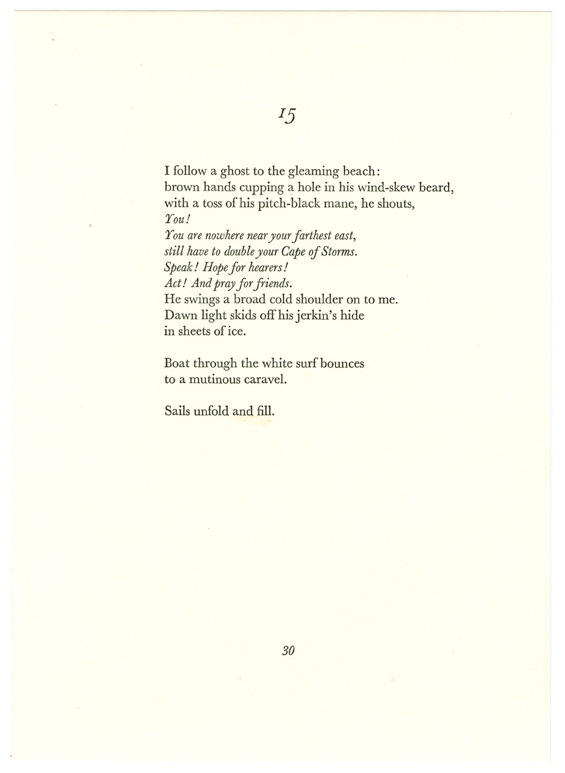 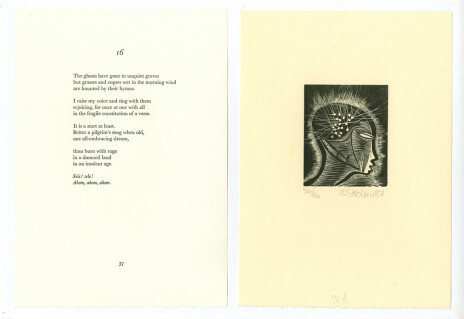 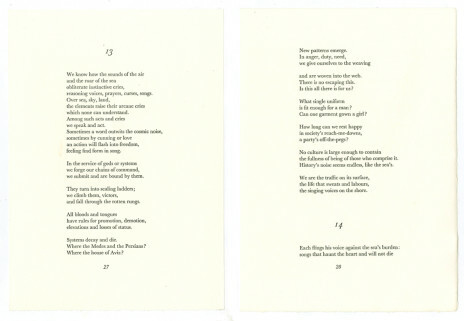 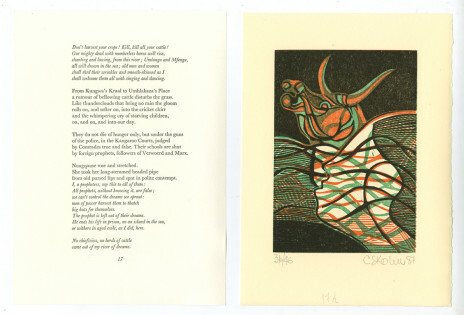 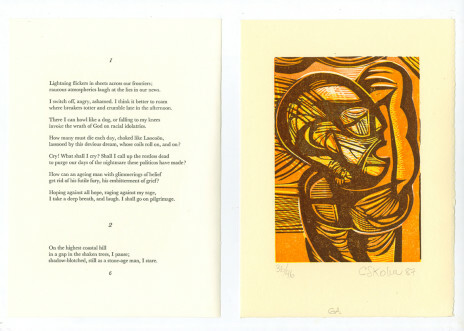 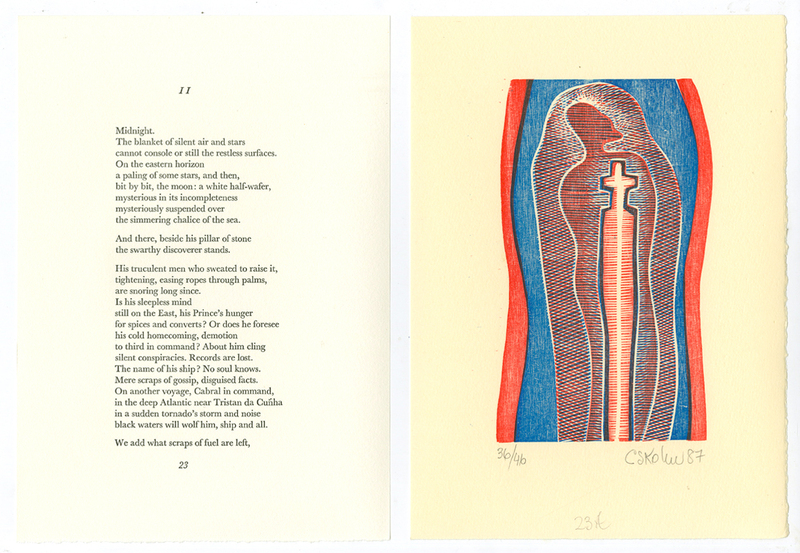 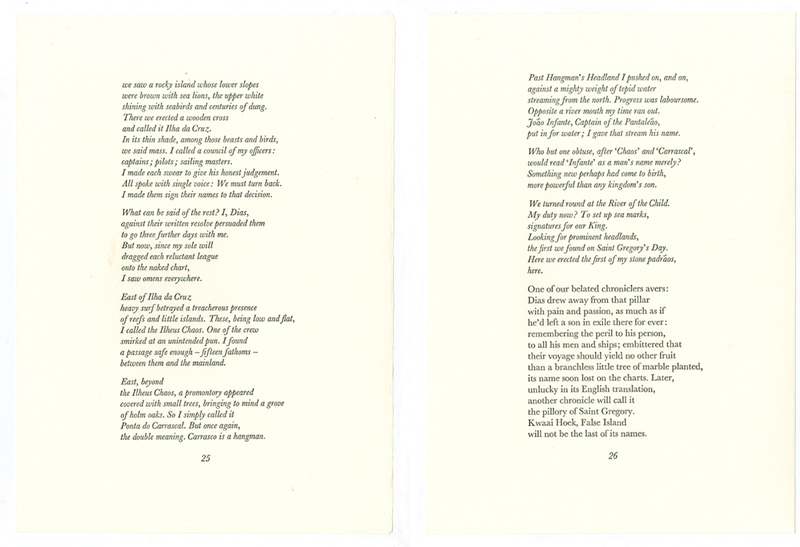 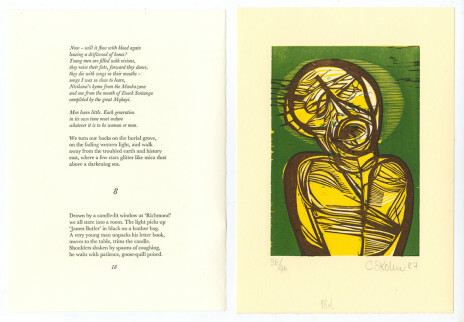 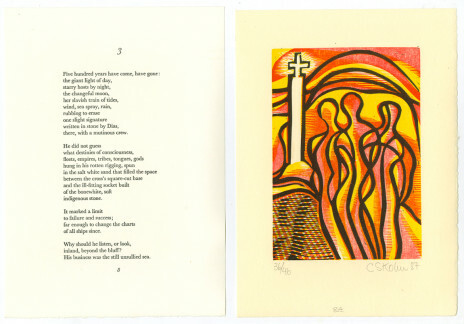 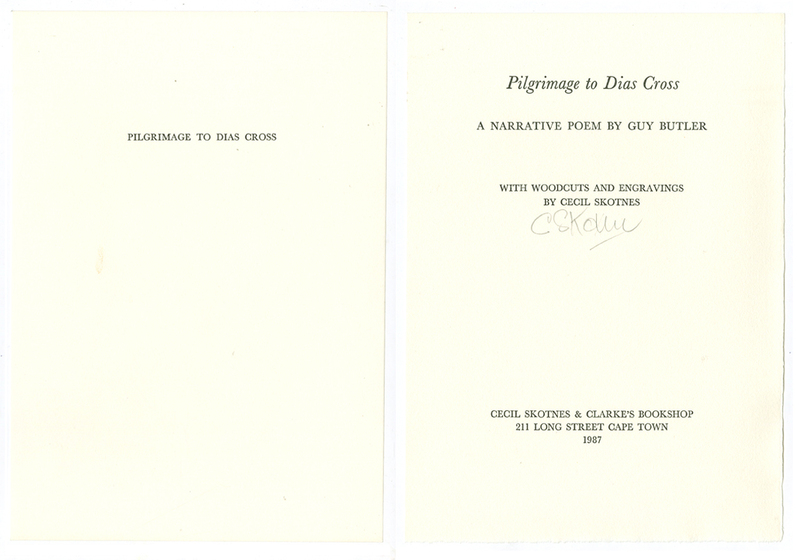 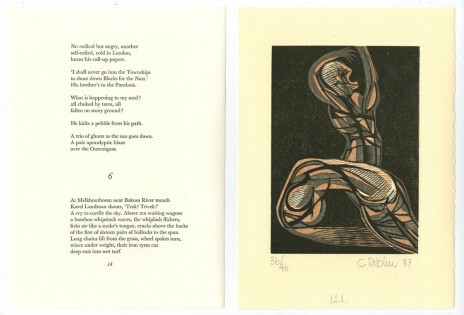 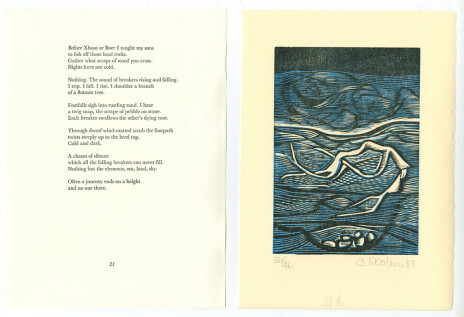 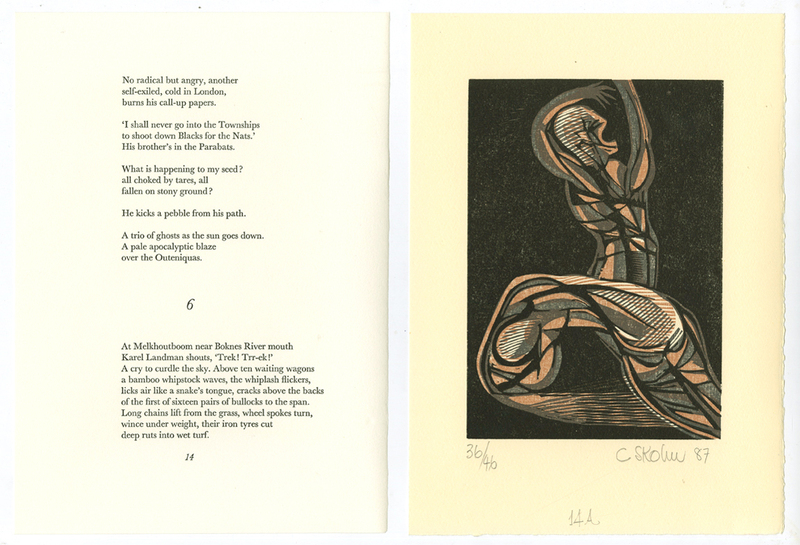 This private edition of the poem PILGRIMAGE TO DIAS CROSS by Guy Butler has twelve original woodcuts in colour and eight original wood engravings by Cecil Skotnes. 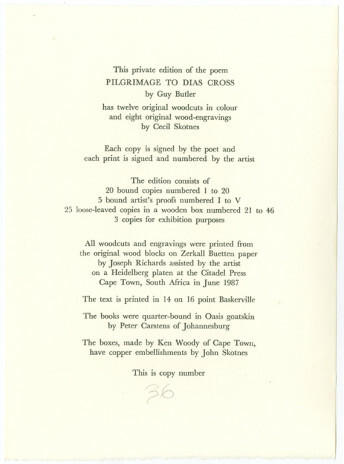 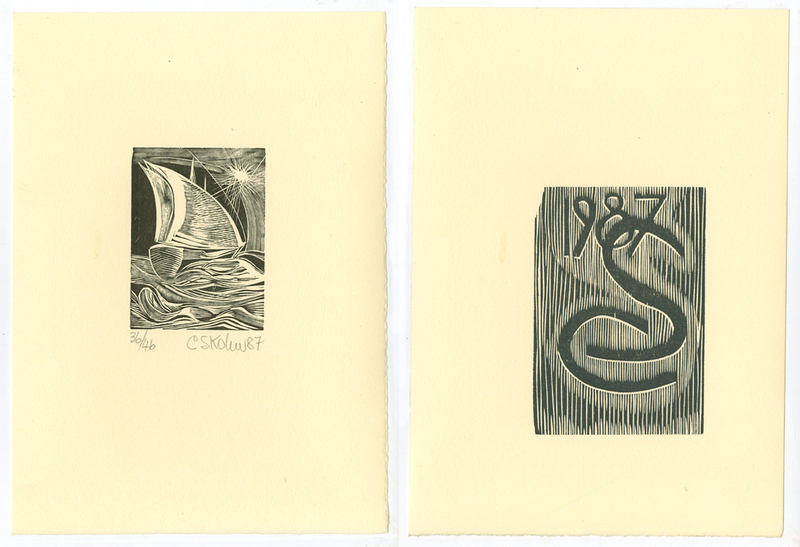 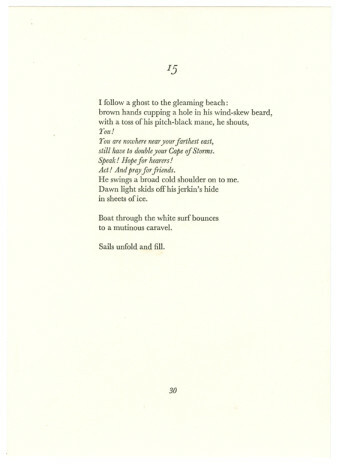 All woodcuts and engravings were printed from the original wood blocks on Zerkall Buetten paper by Joseph Richards assisted by the artist on a Heidelberg platen at the Citadel Press Cape Town, South Africa in June 1987. 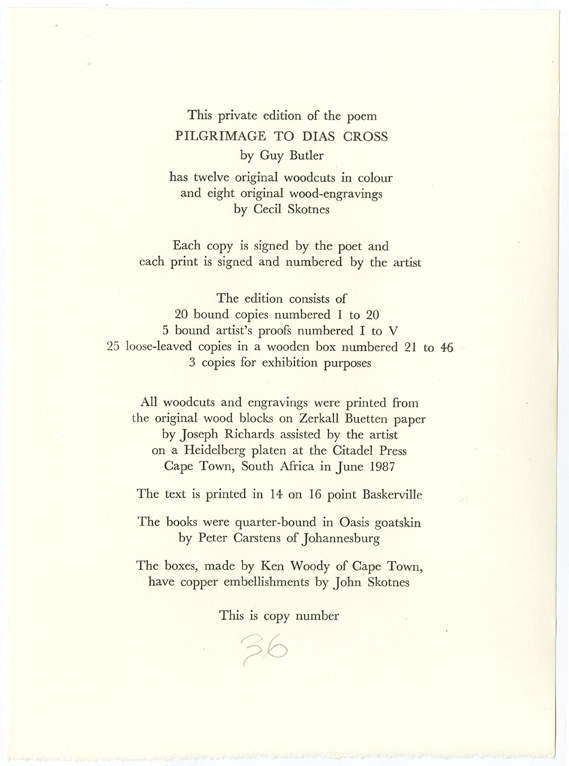 The books were quarter-bound in Oasis goatskin by Peter Carstens of Johannesburg. 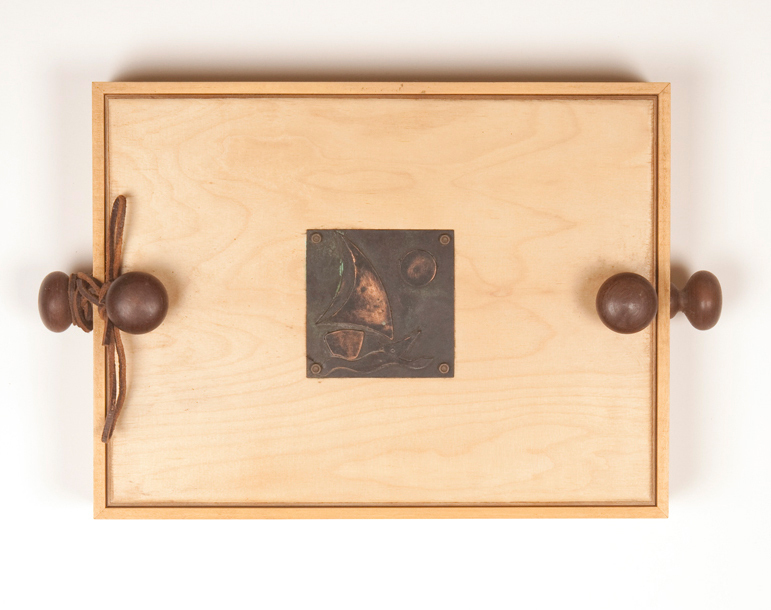 The boxes, made by Ken Woody of Cape Town, have copper embellishments by John Skotnes.